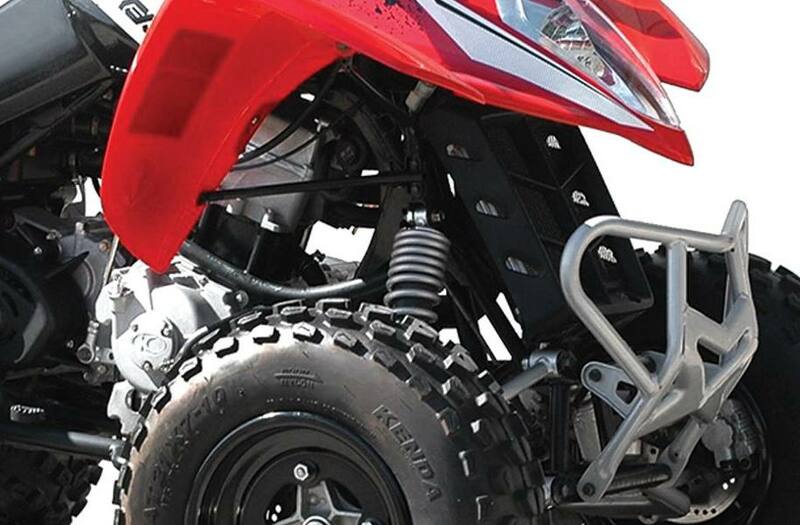 The Mongoose 270 is the family friendly and fun sporting ATV for everyone from teens to accomplished riders. 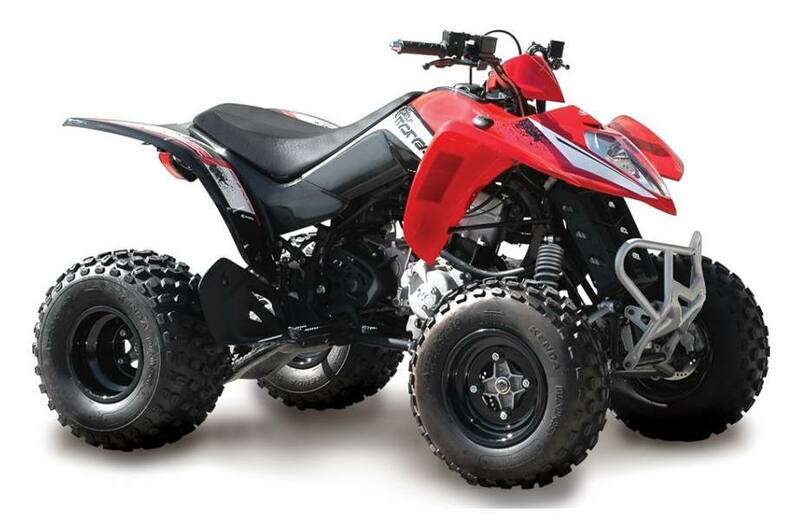 It’s full-sized fun on the mid-sized KYMCO Mongoose 270 sport quad, designed for riders 14-years to adult. Built to roost the berm and loft over logs with its 270cc, liquid-cooled, carbureted, 4-stroke engine, It features an automatic CVT transmission with F-N-R transmission selection and a versatile chain drive. Suspension is with dual A-arm up front and a linked rear single shock swingers. Braking is dual-disc on the front and a single-disc rear brake, 22-inch tires, and cargo racks both front and back, plus front and rear lighting for those nighttime runs over to Lucy’s house. Designed as an ANSI/ SVIA Rated T-14 (For riders 14-years or older. ), the MXU 270 is the perfect ATV for the young novice girls and boys developing competition skills. Available in Red, or Orange. 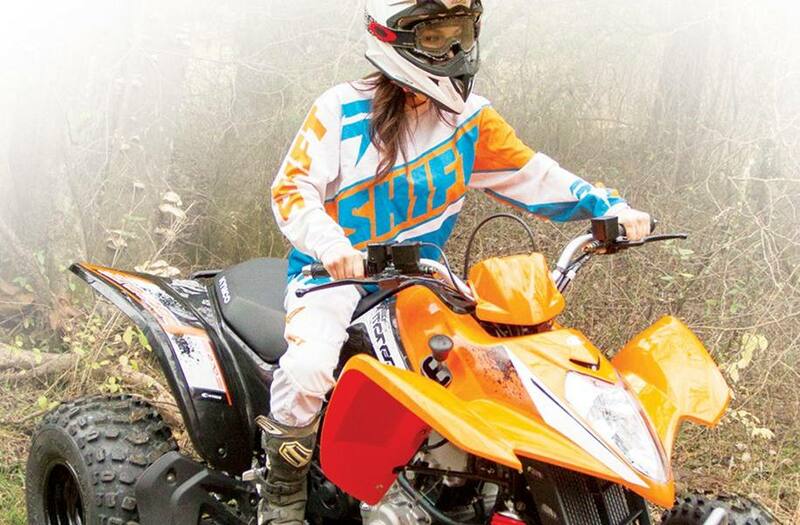 All ATV riders should take a training course riders younger than 16 years of age must be supervised by an adult. Claimed Dry Weight: 392 lb. 76 in. x 45 in. x 42 in.